The Merchant Services Industry views some businesses as riskier than others. When it comes to credit and the risk they represent, not all businesses are created equal. And a few types of businesses are simply considered too high risk for the merchant services provider to even represent. And in the world of high-risk businesses, not all types of high-risk businesses are treated the same either. Certain factors are taken into consideration when deciding whether or not to grant a high-risk business a merchant account, such as the industry the business is operating in. Trouble Getting Approved for a Merchant Account? Veritrans handles High Risk Merchants based on each individual service and their history. We promise to judiciously assess each account presented based on the type of service offered, longevity of company and the company’s ownership. We strive to qualify most merchants, but unfortunately some merchants will represent too great a risk for even Veritrans to represent. And if your High Risk account is granted service, you may find your rates to be slighter higher than the average business would be quoted, however this is not unusual. 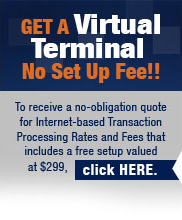 Veritrans account executives will gladly assess your account and services rendered with our free, no obligation. If we are able to provide your business with an account, even if it is high risk, you will be assured of the best rates available for your account, and no hidden fees. Give our professionals a call at 1-866-474-4144 Opt #2, or contact us online at info@Veritransllc.com for an assessment for your business.